Sigil, a free and open-source EPUB e-books editor, gets a big update recently by releasing version 0.8.3 and 0.8.4 one day after. 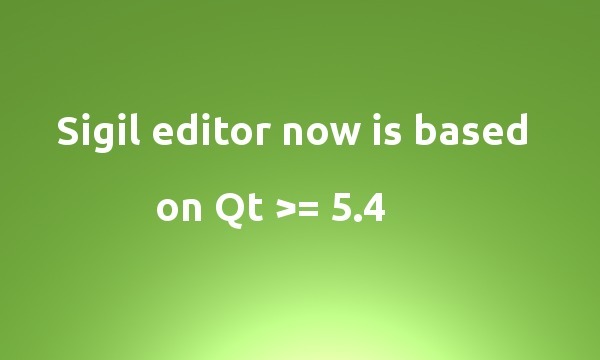 One of the big changes is that now Qt 5.4.0 is the minimum required version for building Sigil. Since Qt 5.4.0 fixed the macdeployqt application and even integrated code signing, Mac OS X (>= 10.9.5) users no longer need to disable gatekeeper. But for Ubuntu, this may not be good news since Ubuntu repositories still provide Qt 5.2 for 14.04 and Qt 5.3 for 14.10 (and 15.04). Users need to manually download & install Qt 5.4.0+ and compile Sigil from the source tarball. Sigil release notes, binary packages for Windows & Mac, and source code are available at github.com. For Ubuntu user, besides building the latest Sigil 0.8.4 source code as well as Qt 5.4.0 manually, the old 0.8.2 release can be easily installed from a third-party PPA (run below commands one by one or grab the .deb from link page).